If you’ve decided that you want an iron with a natural cast aluminum finish, there’s quite a few options to choose from. Keep in mind that the first time you use an uncoated iron, you’ll need to grease the plates multiple times during baking. After several uses, like a good cast iron pan, a seasoning builds up on the iron, and you’ll find you need to grease it less and less. Don’t get discouraged if your first few stick; it’s totally worth the extra effort for that long-lasting seasoning! Another benefit of choosing a cast aluminum plate is that you don’t have to worry about scratching the surface (nonstick surfaces require more mindfulness), and we’ve even found that they tend to produce a more crispy, crunchy pizzella. The CucinaPro Pizzelle Baker makes two 5″ round pizzelle at a time with a classic, two-sided pattern and scalloped edge. If you like your pizzelle paper thin, this is the model for you; this iron makes perfectly crispy pizzelle that are about 3/16″ thin. The CucinaPro also sports a short handle that requires less storage space, and a locking loop that squeezes the two handles together so you don’t have to. A “ready light” indicator under the handle tells you when the plates are hot and the ideal temperature to start baking. If you’re looking to replace an older model VillaWare or Vitantonio pizzelle iron, this is the closest design that you will find to those well-loved, but now defunct, machines. The Palmer Model 1000 makes two 5″ round pizzelle at a time, at about 1/4″ thick, so choose this model if you like your pizzelle to look on the thicker side (but still crunchy because of the narrow grooves). Unlike the CucinaPro, this makes pizzelle with a smooth edge, rather than scalloped, and it has long handles that many find comfortable to use, and reminiscent of the ancient stovetop models. These handles also have a locking loop so you can go hands-free while they bake. Through our special order program, Palmer can even make a custom iron for you with a monogram or family name, the perfect gift that makes a great family heirloom. Call us for details! 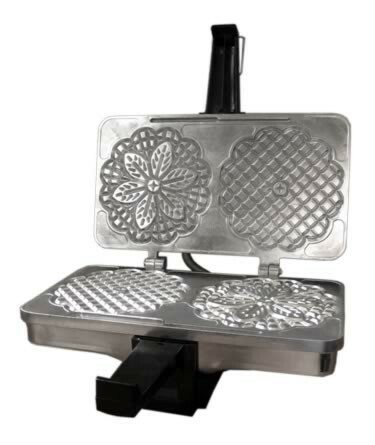 Palmer created a thinner pizzelle iron in the fall of 2018, the Palmer Model 7500. This Palmer makes two 5″ round pizzelle at a time, about 0.16″ thick for those who prefer a thinner pizzelle. This pizzelle iron is a little thicker than the Cucina Pro, but offers a thinner profile while being made here in Pennsylvania. Or maybe you’re looking for something a little different than the classic pizzelle size or shape? 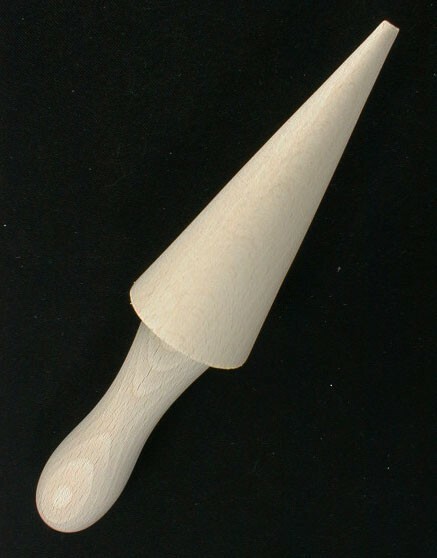 Palmer also makes a cast aluminum iron that bakes three 3″ round mini pizzelle. This iron features the same two-sided designs of the star, flower, and harp, as well as the same long locking handle as the classic Model 1000. 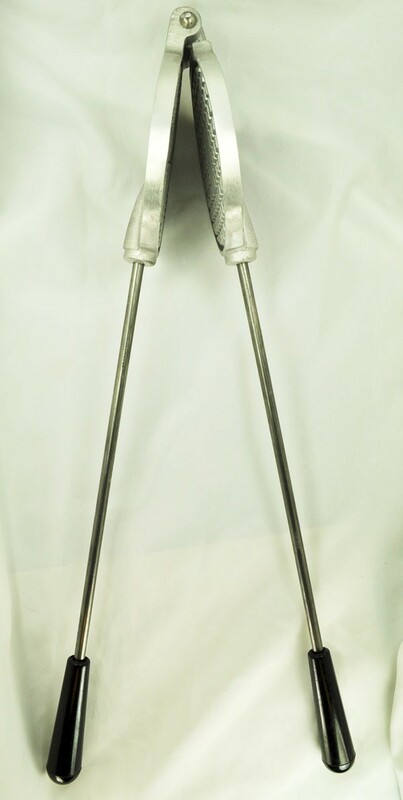 C. Palmer Mfg, based out of West Newton, PA, has been producing pizzelle irons since 1946. All of Palmer’s irons carry a 5-Year Limited Manufacturer’s Warranty. If you’ve decided that you prefer the ease and carefree feeling of making pizzelle with a nonstick coated iron, CucinaPro makes a nonstick version of their popular Pizzelle Baker described above. 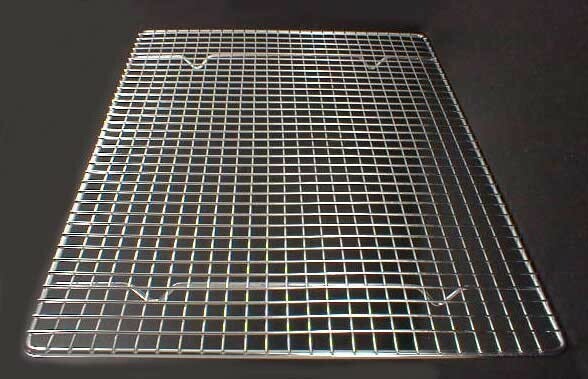 The plate design is the same, with its pretty scalloped edge, as well as the indicator light and the short, locking handle, and the pizzelle baked from this iron measure the same thin 3/16″ as its aluminum counterpart. If you like your pizzelle small and plentiful, you’ll love the CucinaPro nonstick Piccolo Pizzelle Iron.  Its plates are designed to bake four 3″ round mini pizzelle at a time, each one at an ultra-thin 1/32″. Expert Tip: Move fast and drop your batter on the plates quickly to get evenly colored and perfectly baked pizzelle from this model. Once you’ve determined which pizzelle iron is right for you, there are a few tools that we feel are indispensable to have on hand. You’ll need to grease your uncoated pizzelle iron before getting the batter on there, and since we suggest using shortening or vegetable oil for best results, we always have a pastry brush on hand to get every little nook and cranny well coated. 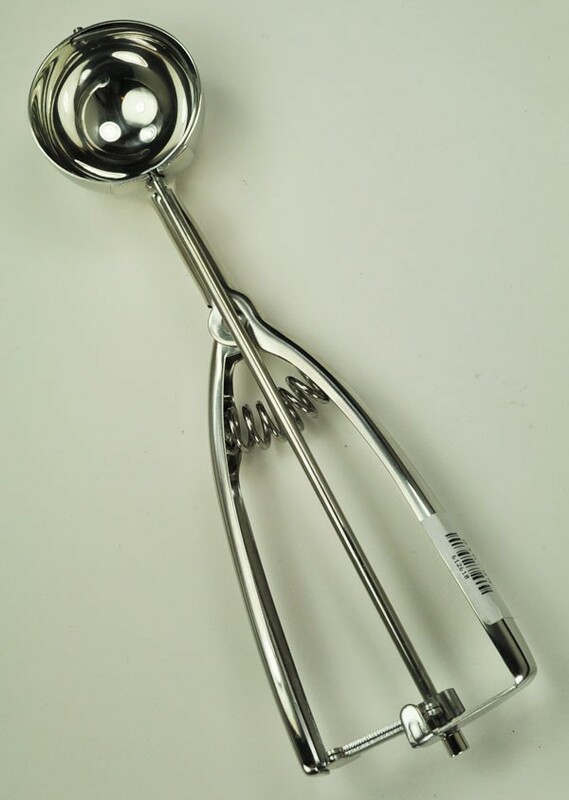 Stainless steel portion scoops are a must for even size cookies, and for quickly getting the batter on the plates. For a standard 5″ round pizzelle, choose a #30 or #40 scoop (the larger #30 scoop if you like a little batter to overrun the edges of the pizzelle design a bit, the #40 scoop will give you enough to batter to flow right to the edge of the design). Expert Tip: Leave your scoop’s head submerged in a glass of water while your pizzelle are baking – this helps to prevent batter from sticking to the scoop when you’re ready for your next drop of batter. If you’re a real perfectionist, after the cookie has cooled and hardened, you can use a vegetable peeler to scrape the excess edges off non-scalloped edges, leaving you with perfectly round and smooth pizzelle. When the hot pizzelle come off the iron, you’ll want a cooling rack at the ready. Letting them cool on the rack will avoid any sogginess, and ensure a perfectly crispy pizzella. Cleaning your iron shouldn’t be a hassle. 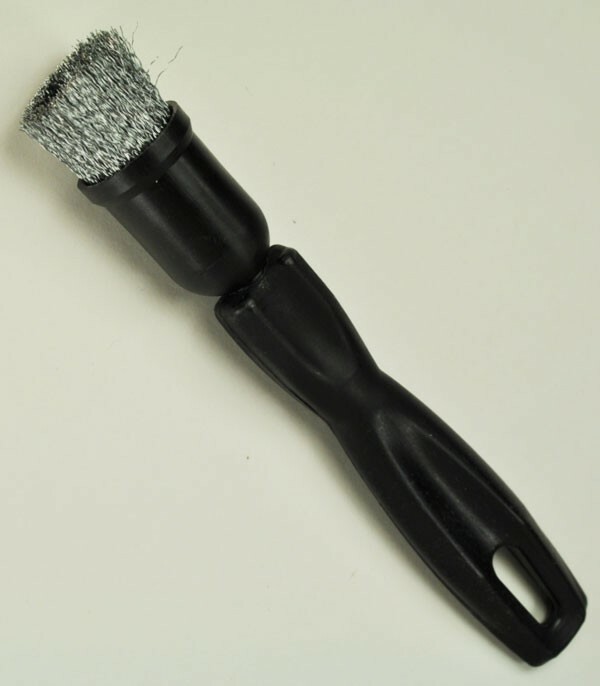 Pick up a steel or nylon cleaning brush to save yourself time. 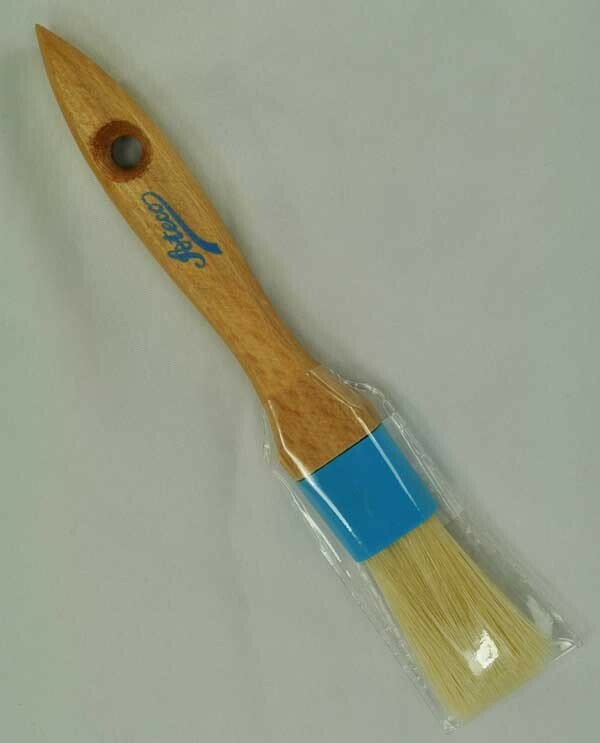 These small, stiff cleaning brushes are perfect for getting into every little hard to reach spot to scrub out dried-on or burnt pieces of pizzelle batter. Choose a wire brush for uncoated cast aluminum irons, and a nylon brush for irons with a nonstick finish. 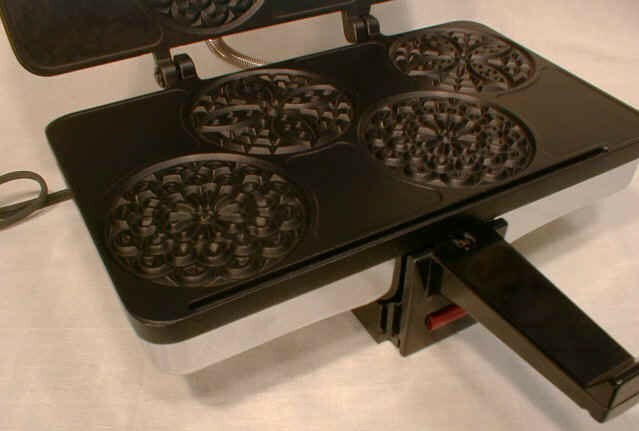 And remember: never use water to clean your pizzelle iron! Simply scrub away anything stuck on, and, using a soft cloth, wipe the plates down. If there’s any remaining grease or oil trapped in the designs, you can even prop the iron on its side like an open book to let it drain out, and give it another wipe down before storing. Did you know that there are many other ways to serve your pizzelle than the traditional flat discs? You can easily roll them into cones or tubes by molding the cookies around a cone roller or cannoli form while they’re still warm. The pizzelle will be rather pliable after they come out of the iron, and they’ll harden into the shape you choose to cool them into. Once cooled, you can fill them with whipped or ice cream, fruit or other fillings of your choice, dust them with powdered sugar, or dip them in chocolate for an extra decadent treat. You can even make your pizzelle the old fashioned way – over the stovetop! 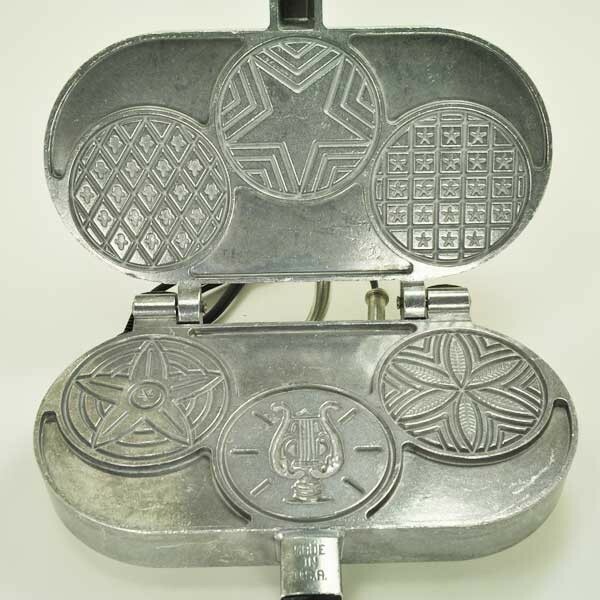 These traditional irons bake one pizzella at a time, and usually takes a bit longer, but come in a variety of interesting shapes, sizes and designs. Many remember helping their nonnas make pizzelle using this type of iron, and saying the “Hail Mary” prayer before flipping it (the prayer taking the perfect amount of time to bake each side to perfection). For information on the history of pizzelle, as well as tips, tricks and a plethora of recipes, visit our Pizzelle page. 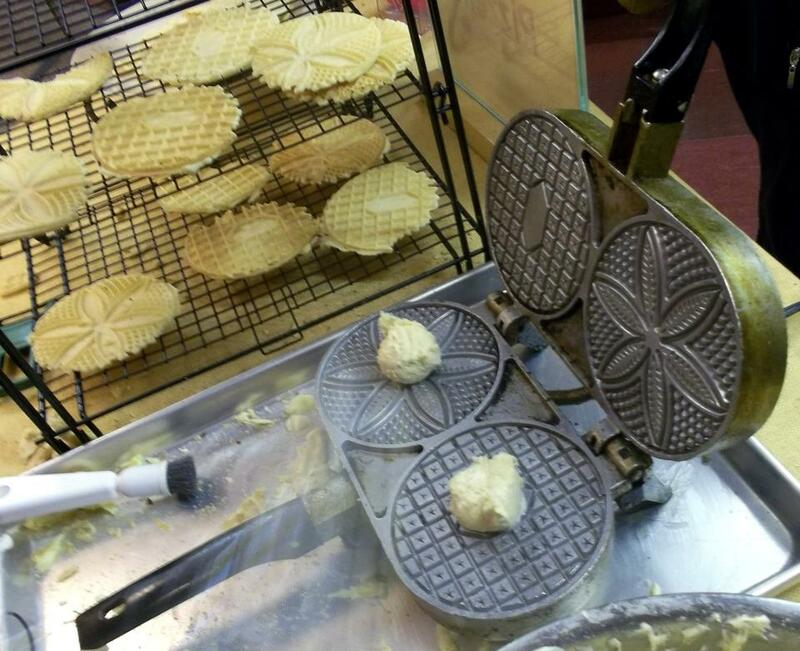 What about the single large pizzelle maker – are they popular and considered acceptable? I have one, and I cannot make thin ones. Hi Toni! At this time, we do not stock an electric unit that makes one single pizzella (only the stovetop type). If you’re having difficulties with the thickness of your pizzelle, try thinning the batter with a little less flour next time. Do keep in mind, though, that a pizzella is only as thin as the iron it’s made on. 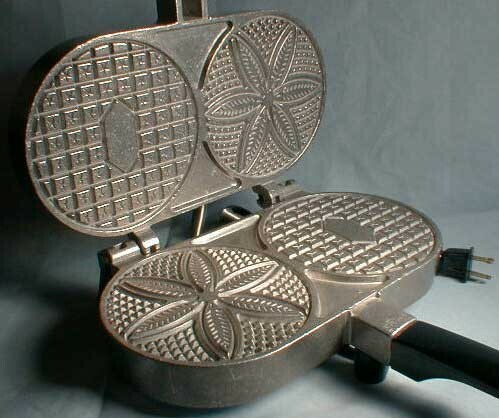 I am looking for the old fashioned cast iron pizzelle maker that you flip over on a gas stove burner. My mom has an “ancient” one and they make the world’s best pizzelles, absolutely thin and delectable, esp. with my grandmother’s recipe – but I can’t find one anywhere……..HELP me find one!!!!!! !